When most people think of an island getaway, they imagine a tropical paradise where the beach is always just a short walk from their hotel. The weather is always warm, the sun is shining, and a summer subscription box will have the perfect accessories to help you stand out even while you relax. Sure, that sounds like an appealing way to spend a few days. However, some people want to do more on their vacations than lounge around. Their sense of adventure draws them to non-traditional island getaways, such as Skye. This island off the coast of Scotland is known for its dramatic combination of impressive mountains and sharp cliffs. It’s the perfect spot to visit if you’re looking for an island vacation that offers more to do than relax beneath the sun. Interested? Keep reading to learn how to make the most of your trip. To fully enjoy your visit, plan on staying in multiple parts of the island during your trip. You might consider starting at Eilean Iarmain hotel. It’s relatively close to the ferry drop-off point, and travel writers have praised its “deliriously pretty” location. After spending a couple of days exploring the area around the first hotel, make your way to the Skeabost Hotel. This spot offers you a chance to explore acres of wooded areas, while spending your nights relaxing in a luxurious environment that recalls Scotland’s history. The weather in Skye can get a little brisk. It’s also prone to sudden rain showers. Even when it’s not raining, expect the skies to be overcast. Luckily, you can still be fashionable with this type of wardrobe. You’re going to want to be, too. Skye is a gorgeous place, so expect to take more than a few pictures. No trip to Skye is complete without stopping to eat at Loch Bay restaurant. This Michelin-starred spot offers a seafood tasting menu that can’t be missed. When you’re exploring the island, make an effort to see Dunvegan Castle. You’ll quickly understand why people compare Skye to a land out of a fairy tale. The Cuillin Mountains in Sligachan also offer fantastic hiking if you’re the outdoorsy type. If you like spending time outdoors, but don’t like the idea of hiking up a mountain, the stone bridge near the mountains is a peaceful alternative. Again, the next time you’re thinking about heading off to an island for vacation, don’t immediately settle for the traditional destinations. Skye is a beautiful island that many overlook. Who knows, it may just be the ideal spot for your trip. Great news! Our Be Bodacious Magazine comes out this month. Available twice a year, the magazine will be filled with tips that travelers can use. 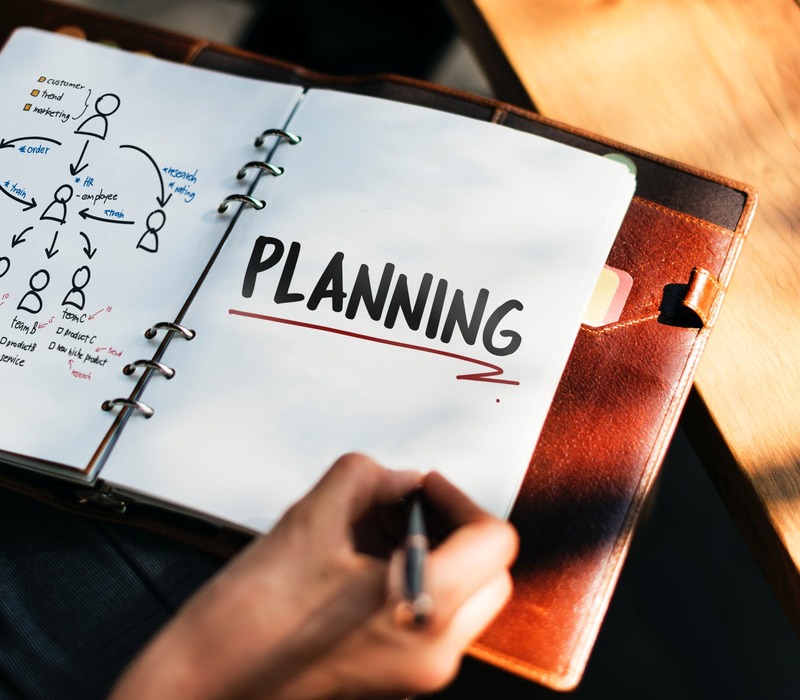 Whether you are going to a foreign country or staying closer to home, you will find information that will help you travel better. The spring edition of Be Bodacious magazine introduces you to YouTubers Amber and John Rivers. They tell us why they chose the off-grid lifestyle and about each other in this interview. Business and life partners Lyn Lomasi Rowell and Richard Rowell of Brand Shamans are well versed in traveling with kids. They share their best five trips for surviving a road trip with kids in tow. Looking for a new camera lens? Award winning photographer, John Crabtree, shares his tips for choosing the right landscape lens for your DSLR. He goes through the how’s and why’s to help you make the best selection possible. Like these? E-book versions of the inaugural edition are free for a limited time. Go to bit.ly/bodacious2019 to download or order your print copy here. A Bodacious Broad is a woman who exacts revenge on obstacles by finding herself. She is, who she is and she is comfortable with that. You should be too! A Bodacious Broad is a woman who wears heels and pearls at the office. She kicks the stand on her chopper, roars into the P.T.O. meeting and throws her heart into the cause. She is loyal, caring, compassionate and bold. She has learned that overcoming the obstacles means throwing on her sassy hat and staring the obstacle down until it begs for mercy. That’s who a Bodacious Broad is. Want to join us? Grab your sassy hat and get ready for adventure! One, two, go!! The map took me by surprise. 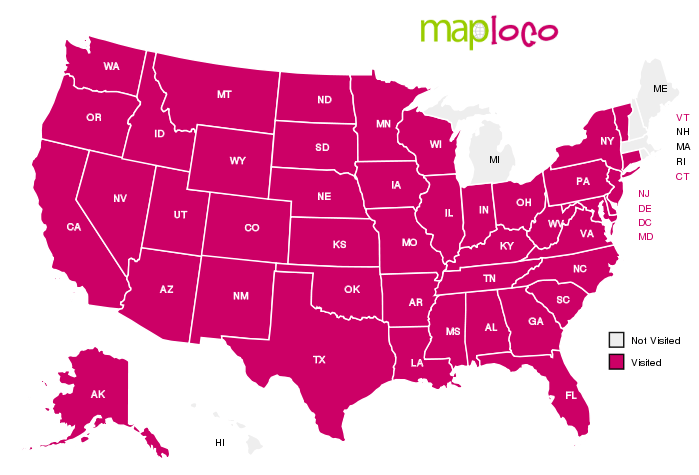 A friend suggested creating a log of the states that I’ve visited and/or lived in. I haven’t thought about it in depth until now. Hawaii and the Northeast portion of the country are definitely calling my name. I’d love to see Rhode Island, go whale watching off the coast of Massachusetts and Maine and take in the sites of Michigan. Of course, Hawaii islands and volcanoes call to me. Then there are a couple of Canadian province that I still have to get to. What is your travel dream? This blog is as much about fulfilling your road trip hopes as it is anything else. Is there a place that you have always wanted to go but never could? Maybe it’s across the world or around the block. Dreams aren’t always big. Sometimes they are that happy idea that gets us through the day. It could be a moment of yearning to be at the beach (or the mountains) as you down that last drop of coffee on the way out of the office door. 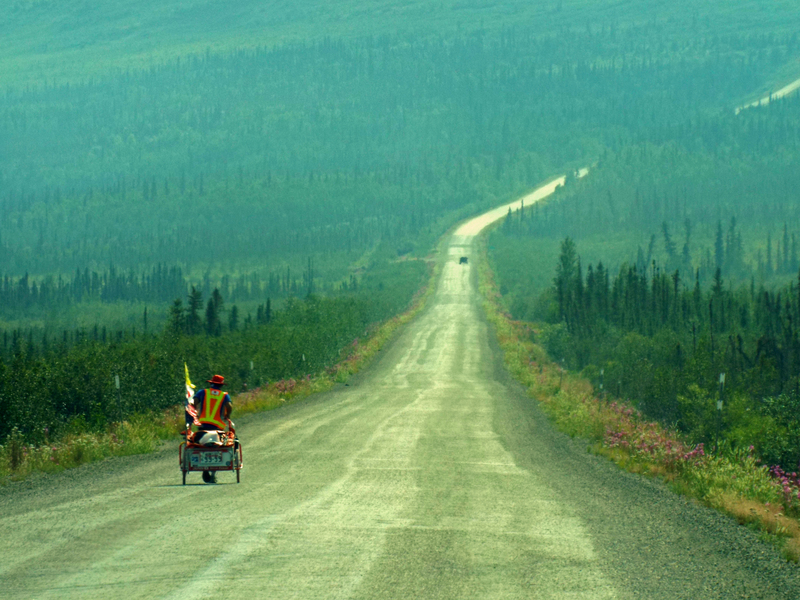 Walking for peace on Alaska’s Dalton Highway. Even as a young child, I stared at the street in front of my house in wonderment. My grandmother caught me looking at it one day and asked what I was doing. I told her that I was looking at the road. Asking her where it ended was the wrong question. Her reply was typically her. “Stup!” (Short for stupid, her favorite word). You can see it right there at the foot of the hill.” followed by “shut up”. Hot, humiliated tears where choked back as I did just that, but my dream didn’t fade, I simply decided to wait until I was a grown-up to pack my suitcase for real. My school principal’s daughter regaled my kindergarten class with tales of the Alaska Highway. She raved about the vastness of the journey, of mountains that touched the sky and the glorious sunsets. We sat spellbound, stopping to breathe only in between the photos that were being passed around. Hers seemed like a grand journey and my five-year-old self wanted to go. The moment that the school bus stopped my feet were flying home. Mom listened enough to pronounce it a “pipe dream” and say “Well, you ain’t never going to get there.” She said the same thing about Walt Disney World. What she didn’t, couldn’t understand was that a passion to see the world was ignited that burned as brightly as any fire. She could not have been more wrong. It was 2009 when my college aged daughter and I headed for the open road of the Alaska Highway. She reveled in being the navigator, DJ and part-time photographer for our 11,000 mile adventure. Hubby drove home with us when our time at the mission site was completed. I returned in 2015 and may return in 2016. Fulfilling my travel dreams didn’t end there. I’ve been across the country and across the state. I’ve also been to Walt Disney World with my Prince Charming and had breakfast in Cinderella’s castle with my two favorite princesses. It’s all proof that wishes really can come true. Don’t let that unrealized road trip go to waste. Your adventure is waiting. Over the next few weeks this bodacious broad will be sharing how my travel dreams came true. We’ll talk about the good, the bad and ugly of travel, what some of the obstacles are and how to overcome them. We’ll talk about saving without pain, planning, how to put the “budget” into budget travel and more. You are encouraged to leave comments along the way. Where would you go? What would you see or do? Let’s journey together and find out just where that road goes. Introducing Bodacious Broads Travel Blog! What’s in a name? This one has attitude, fun and boldness! Bodacious Broads Travel Blog is for women who take the world on their own terms. They are bold, adventurous women who know how to relax and have fun. Just like you and me. 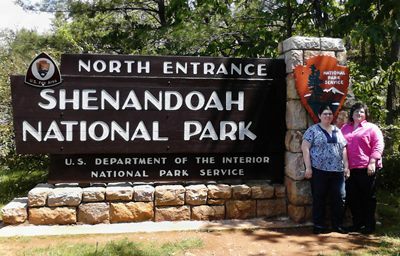 Bodacious women, Gayle and Allie at Shenandoah National Park. Are you a bodacious broad? Do you believe in living life loud? Then come, follow us on our journey where the unexpected is around every curve. Every road trip is an adventure whether crossing the continent or the street. Life is out there waiting for us. Bodacious broads are on the way. Cast off conformity and hold on tight! Posts will be about travel, journeying and generally making our way through life. From time to time, we will highlight bodacious women who are either living or dead, known or unknown – women who make a difference in their own corner of the world or globally. Writers on Bodacious Broads Travel Blog know that life is experienced to be lived well. We are not women who will go silently into stereotypes but constantly redefine who we are. We form our world into what it can be and refuse to complacently settle for less. This is our first post. We are excited to begin the Bodacious Broads Travel Blog and look forward to lots of interactions. Our plan is for this to be a community for women who like to travel, have fun and enjoy life. 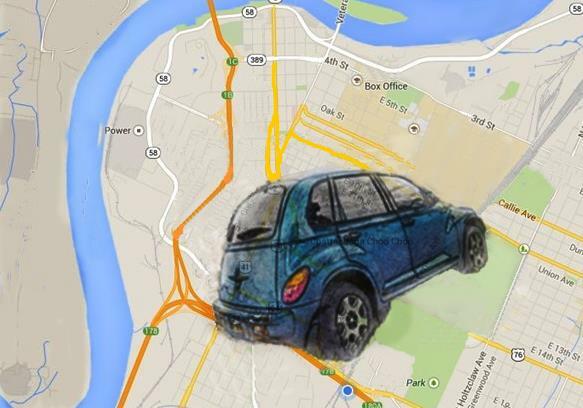 PT Cruiser on a map. Posts may be quirky, bold, serious or just plain fun. Come join us as we take the world by storm. Bookmark the site so you can return often. Spread the word about us on Facebook, Twitter, Pinterest or your favorite social media platform. Some things are just too good to keep to ourselves.